Posted at: 8/06/2010 11:54:00 AM . 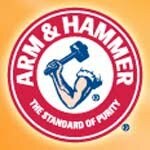 If you are a fan of Arm & Hammer products, check out their set of coupons. You can save up to $10.50 depending on which products you use. Use the coupons at a store that doubles for even more savings. The coupons include pet care, bathroom, laundry, and more.